What is truth, and how can we know? The Bible plainly reveals the errors and false teachings that Christians will be expected to identify and defend against. Learn to recognize the counterfeits through the light of God's truth. Christians often wonder why certain religious groups are called "cults" or are said to have "cultic teachings." The answer is fairly simple. The Scripture mentions 10 key Christian beliefs that cult leaders or aberrant teachers ignore or twist. You will learn each of these 10 beliefs and be able to give examples of truth vs. counterfeit teachings. 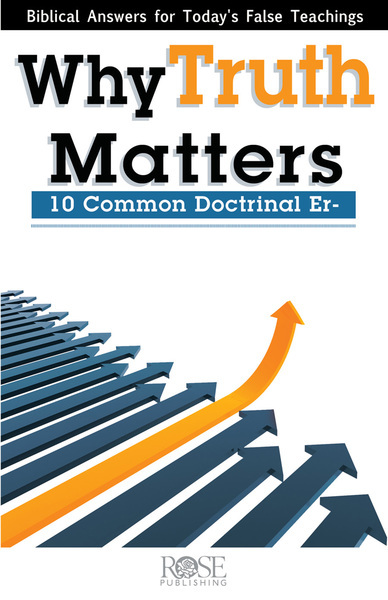 The 10 Common Doctrinal Errors include: False Gospels, False Doctrine, False Gods, False Christs, False Spirits, False Prophets, False Apostles, False Teachers, False Visions, and False Miracles.